Happy New Year from Meat Filled Pastries! My apologies for a lack of activity recently, a fixture list that saw a string of home games for Pollok along with weather conditions that obliterated almost every game I had lined up to go and see meant that things have been rather quiet on the pie front so far in 2016 and my first offering of the year has not a drop of pastry in sight. Now usually I’ll go through a series of ratings before summing up my feelings on the quality of pastry I have been provided with but as this is ‘not a pie’ and has some key elements like pastry missing then the following is more of a long winded monologue (for ‘long winded monologue’ read as rant) on the state of non pie based catering at Scotland’s football grounds. I have no idea where this is going to go so I’ll try not to ramble. I have always been one to build my Saturdays around a game of football, it’s always felt wrong to sit in the pub and watch Soccer Saturday, however since I have started this little venture a new variable has been added; have I reviewed a pie there before? In the case of Clyde I had not and with the Scotch Pie Club Awards ceremony happening just around the corner the following week I smelled the opportunity for a tie in. Imagine my disappointment then as I walked into the main stand to find the shutters down and a steward ‘helpfully’ pointing me towards the corner of the stadium in the direction of a burger van. 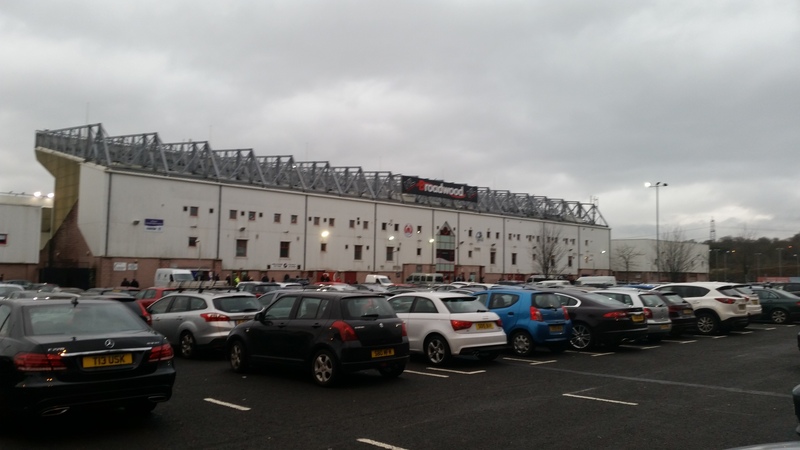 This isn’t the first time this is happened this season and my apologies to Clyde that they are getting the ones that have unleashed my ire but going to a ground and being able to get food, but not a pie, makes me sad and a little bit angry. It was January 2nd. A Scottish Bank Holiday. A day where the whole of Scotland sit in their pants and watch a Wallace and Gromit marathon whilst eating the remaining left over turkey and steak pie. Maybe the butcher wasn’t able to provide pies that day. As it is such a day of rest maybe wee Betty who runs the pie counter didn’t fancy hauling herself down to Cumbernauld to feed a bunch of folk for a fiver. Scotland, renowned for nurturing some of the best produce in the world, and this is what you get presented with. Then after discovering the one place where you always expect to ‘take a pie’ doesn’t provide one you are stung with the fact you have to pay more (£3!!) for the privilege to eat something that you wouldn’t look twice at it in the frozen meats section of your local supermarket. 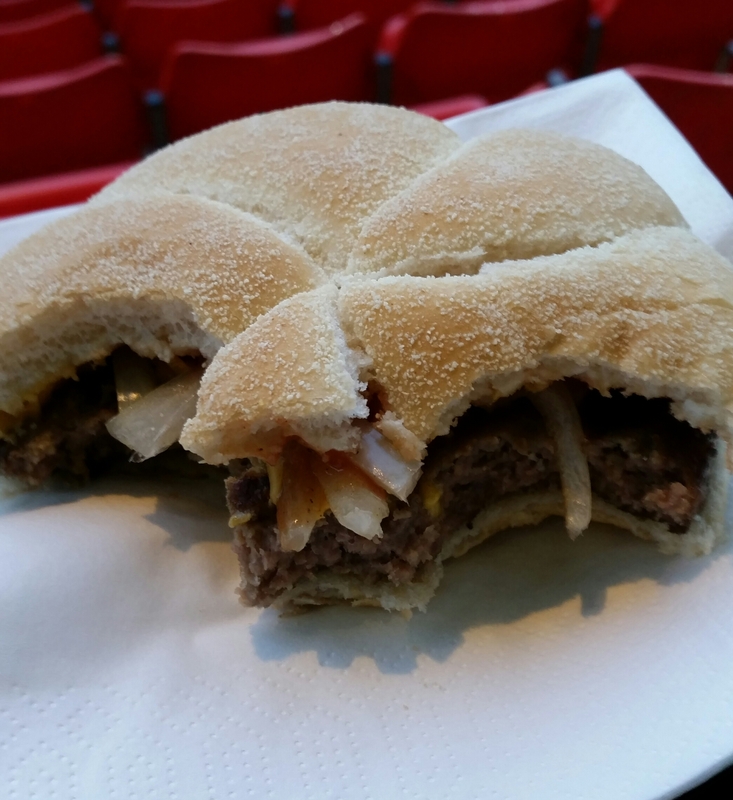 Canteen style mass-produced tatties, usually found in larger stadiums. Available already sitting lukewarm under the heater for your tasting pleasure accompanied by sachet’s of sauce that are impossible to open because the smallest amount of grease on your fingers turn the small tear you need to pick at to get into the condiment of your choosing into some kind of water torture. Chips at smaller grounds where invariably a man stressfully fills the deep fat fryer he’s brought in from home with enough chips to serve one person at a time as an ever increasing queue populates itself with frustrated individuals unable to make their purchases until the 17 minutes required to cook these frozen beauties to just past raw perfection. Plus a plethora of amateur clubs I haven’t even mentioned, all of a sudden 53 out of 271 doesn’t sound that impressive. For the 2017 Scotch Pie Awards let’s get more involved! Right that’s me. I’m off my soapbox and next time out I will be back with the first of two proper pie reviews from Linlithgow Rose but until next time, go forth and eat pie! 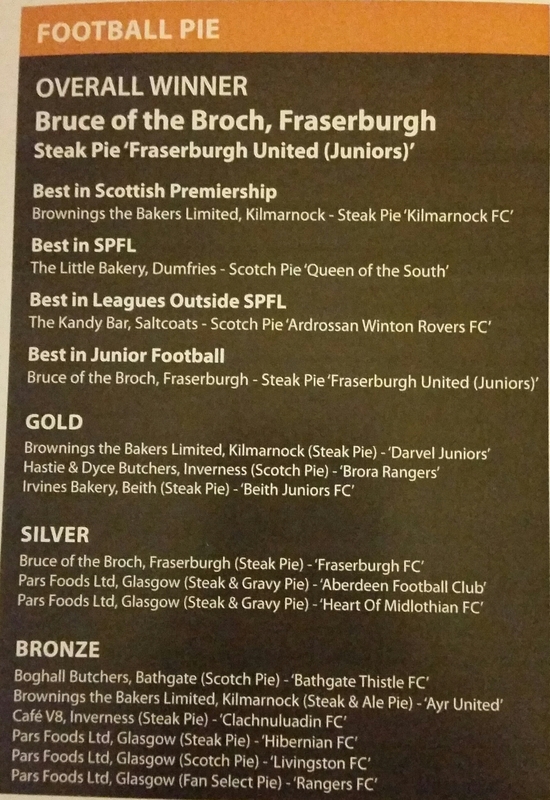 This entry was posted in But That's Not a Pie!, Football Pies, Junior Pies, Non League Pies, Professional Pies, Sporting Pies, The Life of Pie and tagged broadwood, burger, chips, clyde, east of scotland, fitbaw, Football, Gravy, highland league, Juniors, kandy bar, lowland league, Meat, meat filled pastries, pastry, Pie, queens park, scotch pie awards, scottish football, south of scotland, spfl.